In short: The Google Pixel 3 officially launched yesterday in a number of countries, including the US where it is being sold at Google Store, Best Buy and Verizon. We found out that the units being sold at Best Buy are actually SIM locked to Verizon. And now we are finding out that some pre-orders are not being delivered just yet. Some users got a delivery estimate of October 18 when they put in their order, the day the device was announced (October 9). But the devices haven’t shipped yet. According to Verizon’s customer service on Twitter, the device is “quite popular” and expects all pre-orders to ship by the end of October. Backorders isn’t a huge surprise when it comes to the Pixel 3, but “end of October” isn’t too bad, seeing as there is less than two weeks left in October right now. It’s also good to see that the Pixel 3 is pretty popular, at least over at Verizon. Google’s Pixel 3 was announced on October 9, and has been getting a ton of hype ever since. It’s not hard to see why either. It has a great camera, great build quality, the latest version of Android and a smooth experience. Not to mention the fact that it does have a pure Google experience on-board. Google outfitted the Pixel 3 with a 5.5-inch display and the Pixel 3 XL with a much larger 6.3-inch display, both of which are sporting Snapdragon 845 chipsets, 4GB of RAM with 64GB or 128GB of storage. The Google Pixel 3 costs $799 and the Pixel 3 XL costs $929 (only at Verizon, Google sells it for $899). Verizon has also been offering a buy one, get one free promotion on the Google Pixel 3, which could be a culprit to the delay in pre-orders shipping out. With more and more people picking up two devices instead of one. But of course, that is what Verizon (and more importantly Google) want to have happen. More sales is always better than less sales. But that could be why pre-orders are being backordered right now from Verizon. It’s unfortunate, but that is part of the smartphone world these days. Background: The Google Pixel – and even going back to the Nexus line – have never been super popular. But they were always out of stock or backordered, simply because Google didn’t order enough of them to be made ahead of time. 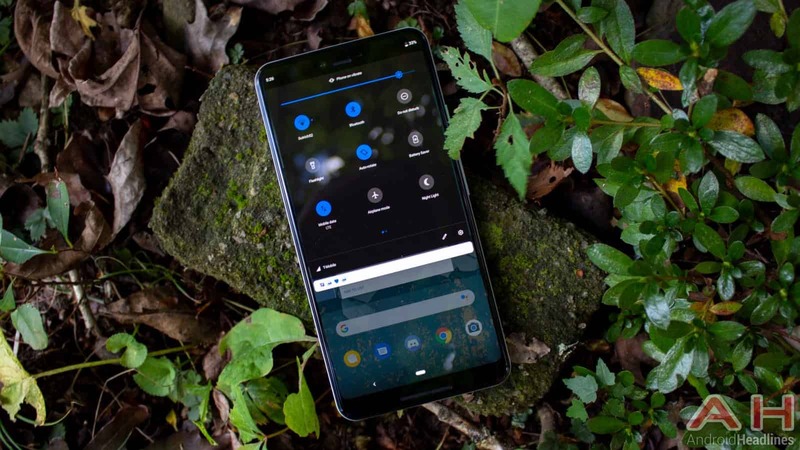 But since the Google Pixel launched in 2016, Google has been working to make the device appeal to more users, rather than just the “nerds” that were buying the Nexus smartphones. And it appears to have done that. With the Pixel 2, it was estimated that around four million units were sold, and that was back in March of this year. Obviously that doesn’t hold a candle to what Samsung and Apple sell, but that is a big jump from the Nexus just a few years earlier. And of course, having Verizon on-board as not only the only carrier selling it, but also marketing the device, has really helped Google sell many more than it ever would have under the “Nexus” brand. And now with the Pixel 3, we can see that it is a pretty popular device. What is a bit odd here is that the Pixel 3 pre-orders all shipped out on time from Google Store and Project Fi, the only ones being backordered are from Verizon. This might mean that Google decided to hold more off for their store as the “unlocked” model, versus the Verizon model that is available on Verizon’s website and in-store. It’s tough to say what is going on here, but it is good to see that the Pixel 3 is still selling pretty well, though Google will still never announce any sales figures for its smartphones. So any numbers will come from firms like IDC. Verizon did also offer some pre-order bonuses with the Pixel 3, so it is also possible that it got more pre-orders than expected because of that. For instance, on the first day of pre-orders, those that pre-ordered in the Verizon app could get the Pixel Stand for free with their new Pixel 3. Which is a $79 value, and definitely worth taking advantage of. Impact: Google, in recent years, has been underpromising and over-delivering when it comes to shipping times. Typically they will tell you the device will ship on a specific week, and then it would ship out a little early or even on time. Which has people pretty excited. It’s much better than being the opposite way, where users are being told their device will ship out on a specific week and then it ships out after that time-frame. Google has indeed gotten better with fulfilling backordered orders in recent years, so hopefully Google is faster about getting these devices into pre-orderers hands this time around. Many may wonder why the Pixel 3 is so popular this year, and there’s a good reason why. The camera on the Google Pixel 2 series last year. It was heralded as the best smartphone camera for most of the year, and even now, a year after launch, many still say it’s better than the newer smartphones launching right now. Pixel 3 doesn’t use a whole bunch of lenses to get great images, it instead uses software to do so. Allowing users to take some mindblowing images without having to adjust any settings. And that is why the Pixel 3 is so popular. Because users want a smartphone that has a fantastic camera, and Google has that. Not only that, but more and more users are looking for a smartphone that has the pure Google experience and also get updates pretty quickly. Especially after seeing how slow some of these smartphone makers can be with updating their phones. Verizon hopes to get all of the pre-ordered Google Pixel 3’s out before the end of the month. So if you haven’t ordered one yet, and don’t want to wait long, it might be better to head to a Verizon or Best Buy store to get one, or purchase it from the Google Store. You are reading an article on the Google Pixel 3 Backordered At Verizon, Pre-Orders Should Ship By End Of October. All materials on the site Gadgets F, а также и статья Google Pixel 3 Backordered At Verizon, Pre-Orders Should Ship By End Of October - written for the purpose of information enrichment and we are happy if you like our magazine.